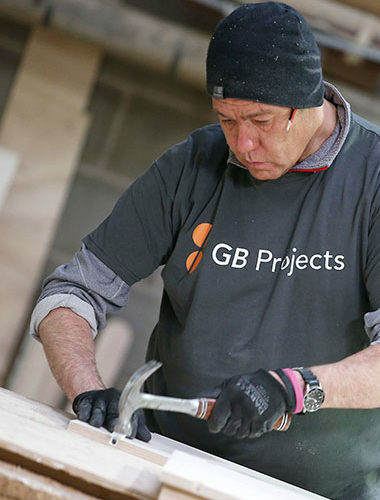 At GB projects, we offer an extensive range of manufacturing services. 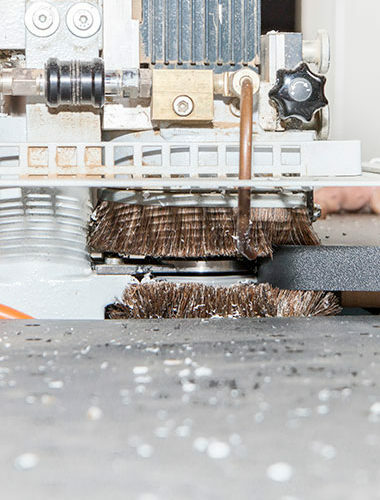 We work with small and large manufacturers that outsource processes including CNC machining and edge banding. 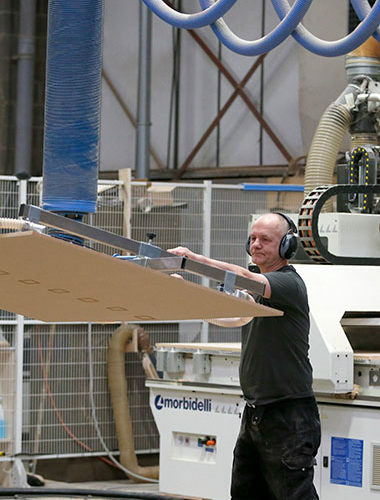 Alternatively, we can offer a full furniture manufacturing solution from concept to end product. Here, find out more about some of the manufacturing services we provide. 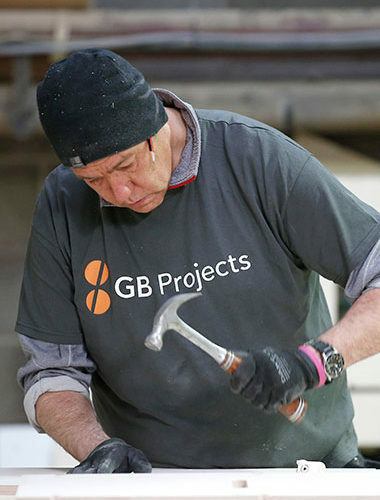 At GB Projects, CNC machining is our area of expertise. 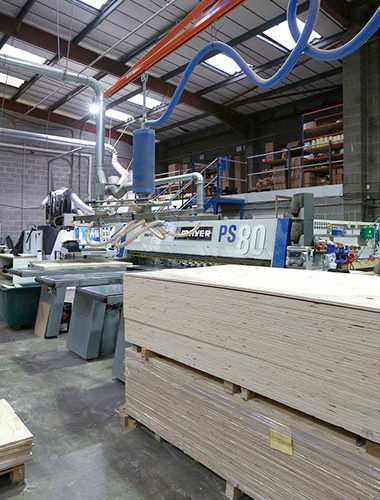 Our factory is home to a range of three, four and five-axis CNC wood working machines – the latter capable of full 3D machining of highly intricate components. 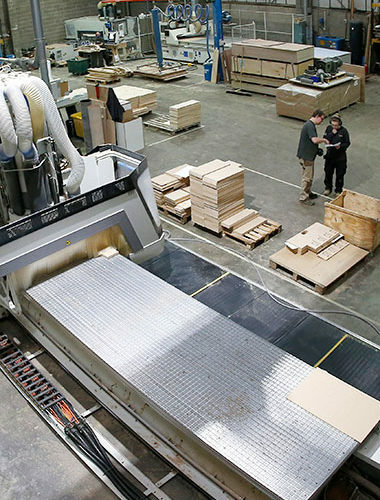 Our flatbed CNC, with its automatic unloading table, allows components to be nested on full sheets of material ensuring optimal material usage. Driven by Alphacam, our flatbed and pod and beam machines offer a wide range of solutions for the production of complex items to meet your requirements and budget. 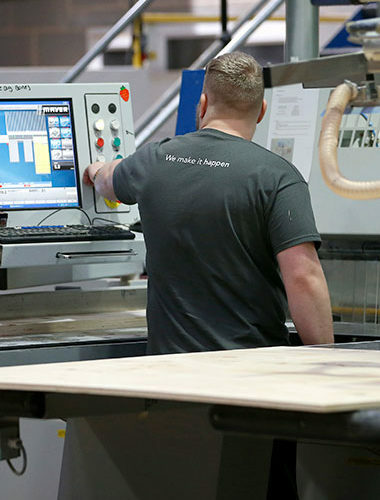 Our breadth of CNC knowledge and expertise enables us to deliver intricate work and leaves you confident in the endless manufacturing possibilities we offer. 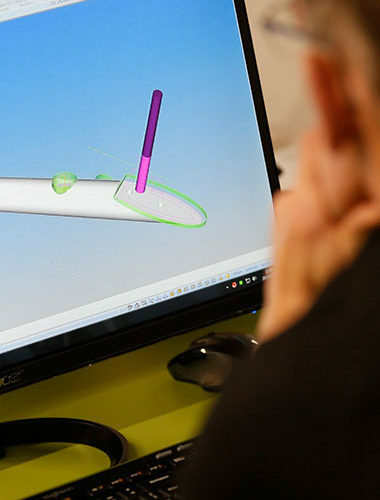 Before a product or component is manufactured, detailed designs and drawings are put together via computer aided design (CAD). Our experienced onsite CAD technicians work in the latest design suite from AutoCAD, which allows for 3D design and life-like renders to bring any vision to life. We use industry-leading CAM software Alphacam to program any request, from simple machine paths to full five-axis 3D machining of complex components. All this software lets us immerse ourselves in the concept design and development process so we can produce a visually sound and fully functioning solution. 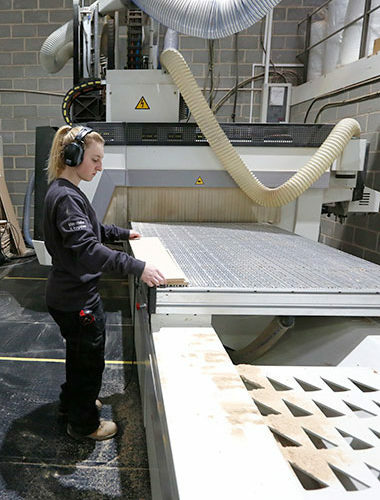 Whether working with MDF sheets, plywood, chipboard, laminates or veneers, GB projects can help accurately cut your material to size. Each job goes through our panel optimising software so we can ensure precision and that the best yield is achieved from your material. We offer a professional service and quick turnaround times on cut panels. 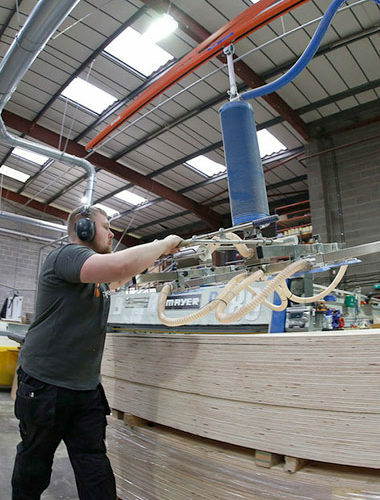 We can meet any edge banding requirement for an attractive finish to your furniture. 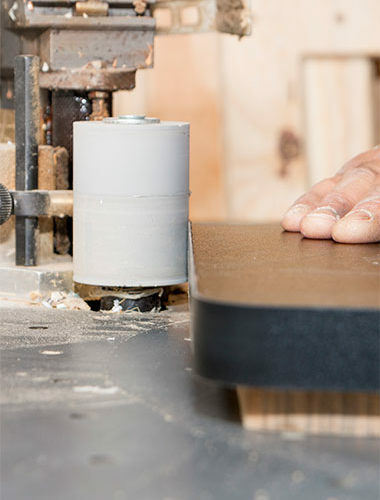 Our machinery has the capacity to apply edging tape to curved items, but we also have a straight edge bander to handle large quantities of panels for edging. 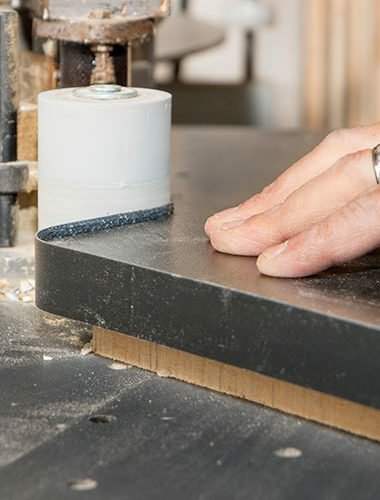 Whether you require wood edging, PVC edge banding or plywood edge banding (or something else entirely), we can help you arrive at the best decision for your designs. ABS edging, high gloss acrylic, solid timber and veneer edging tapes can all be applied at GB Projects. 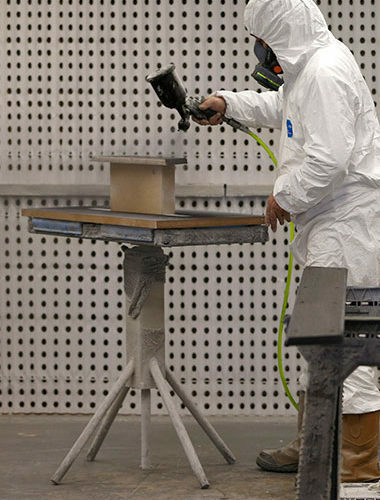 We have a fully enclosed spray booth and separate drying room enabling quick turnaround times on high-quality spray work in large quantities. 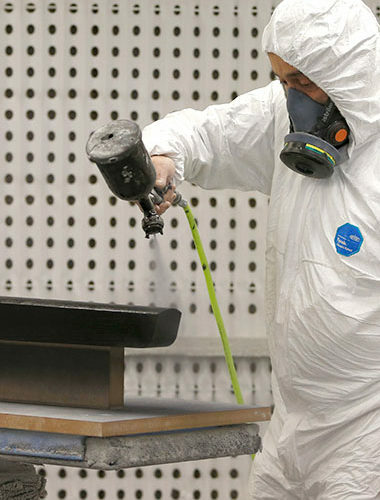 We specialise in the application of paints, stains and lacquers for both water and solvent-based materials. Talk to us about distressed, marbled and metallic finishes, which are among the many available options. We offer a comprehensive furniture assembly service. 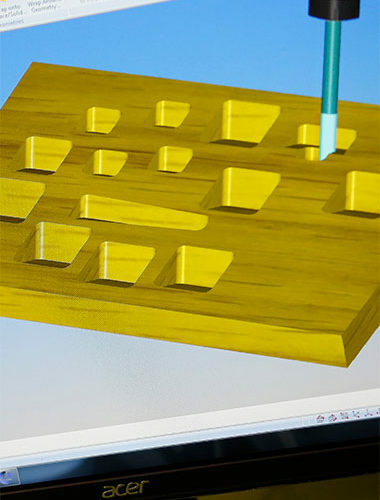 Our experienced team of assemblers and the capacity to produce detailed, accurate components has meant we’ve adopted new and highly efficient assembly techniques for consistently high-quality products. Whether you require one-off assembly or production line assembly methods for high-quantity orders, we can provide the solution.